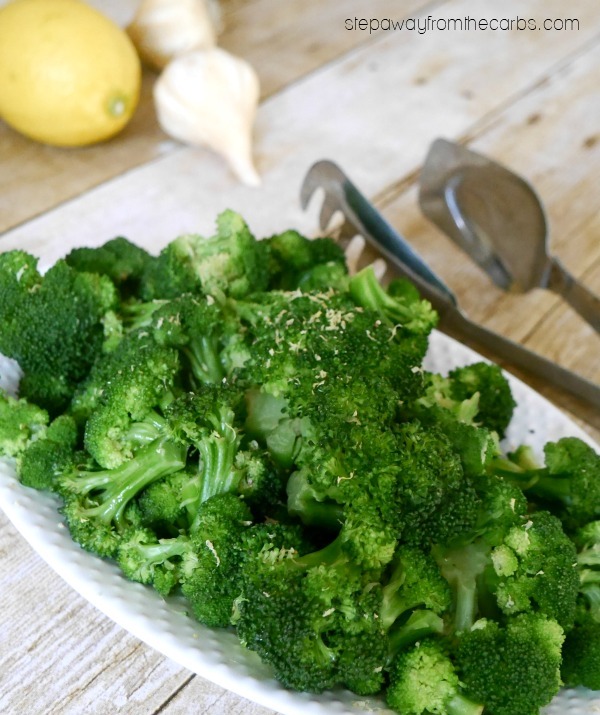 This lemon garlic broccoli recipe is an easy low carb side dish made in the microwave! I love easy side dishes. I love tasty side dishes. 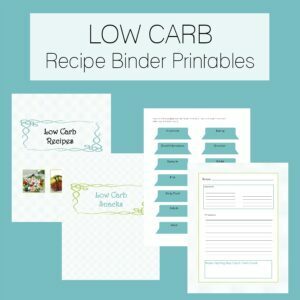 I love low carb dishes. 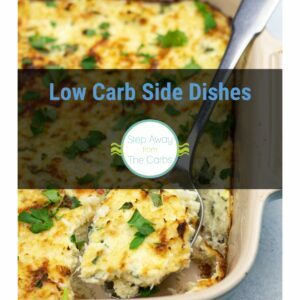 And most of all I love side dishes that are easy, tasty, and low carb! 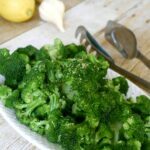 This broccoli dish is cooked in the microwave, and will elevate plain old broccoli into something rather special that everyone will love. For quick midweek meals, I use those microwave steamable bags of vegetables. 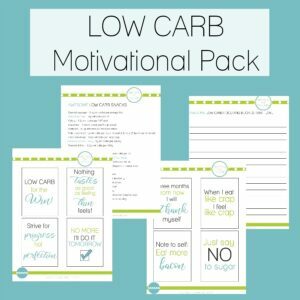 They are so quick and convenient when I am tired and in need short cuts to avoid me stooping to low carb alternatives. OK, it sounds like I’m making excuses. Which I am. In a way. But really, this dish would be just as good with fresh broccoli that I had cut up into small florets and steamed. So. Micro-steam the broccoli according to pack instructions. 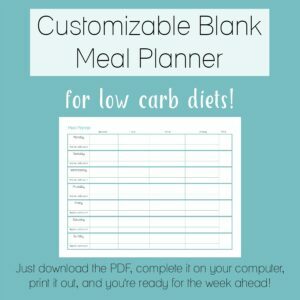 I personally don’t like my veg super soft, so I always start with the lower end of their suggested cooking time, which is often perfect for me. While that is cooking, place some butter in a small microwaveable dish. Once the broccoli has finished, carefully remove it from the microwave. Put the butter into the microwave and cook on a low heat until melted. Add lemon juice (fresh or bottled) and garlic to the melted butter and stir well. You could use minced fresh garlic or garlic paste, whichever you prefer. Transfer the broccoli to a serving bowl and pour over the sauce. Grind over some black pepper and grate some lemon zest (I use my Microplane) over the broccoli, then serve. Microwave the broccoli in the bag according to the packet instructions. Place the butter in a microwaveable dish and melt in the microwave after the broccoli has finished. Place the broccoli into a serving dish. Mix together the butter, lemon juice and garlic, and pour over the broccoli. Grind over some black pepper and serve.